Gotta love those fourth sternites! The Department of Biological Sciences at NUS invites applications for two, full-time, 3-year, non-tenure, teaching track positions at the Instructor/Lecturer level in Environmental Biology. Candidates should have a Ph.D., a strong commitment to excellence in teaching, and a broad interest in regional environmental issues. Relevant postdoctoral research experience and a good publication record will be advantageous. Please visit our website at www.dbs.nus.edu.sg for further details of the Department and its teaching programs. We are looking for candidates who can start in April-May 2011, although other start dates may be negotiable. The Department of Biological Sciences is inviting applications for the posts of Full-Time Teaching Assistant (FTTA) in Life Sciences undergraduate courses, in the field of Biodiversity and Ecology. Candidates should preferably possess an Honours Degree but exceptions may be made for degree holders with relevant expertise and industrial experience. Fresh graduates with Honours Degree are welcome to apply. The FTTA will be working as a team with professors, laboratory officers and teaching assistants to achieve holistic goals for student education in NUS. The FTTA must be reasonably competent with data management and administration, comfortably manage and consult peers, appreciate student issues and be passionate about teaching and field work. The appointment will commence in January 2011. This appointment is a 1-year contract which is renewable based on performance. During the annual Faculty of Science Awards ceremony, Evolab was pleased to see Denise Tan and Kwong Shiyang awarded Teaching Assistant Awards, thus continuing lab tradition of winning teaching awards! This is well deserved for their efforts in grilling in evolutionary biology concepts into students! The laminated certificate is just half of the prize; we are beginning the process of persuading the award winners to contribute a part of their cash prize to our goodies fund! Members of Evolab also congratulate all the winners of the Teaching Awards from the crew! The Part-Time Teaching Assistants (PTTAs) play a critical role in undergraduate education. Biodiversity and ecology classes are usually broken down during laboratory and field practical sessions into small groups led by PTTAs in ratios ranging from 1:10 to 1:13. The TAs engage students in content and discussion, may instruct students in writing and oral skills as well and along the way share with students their research experience and expose them to wider issues. These small group sessions constitutes the largest amount of face to face academic interaction which most undergraduates will experience during their time in NUS. So we are pleased when PTTAs are recognised for their teaching efforts. With two away in the field, four of our Biodiversity Crew (photos below) marched up to receive their awards from the Dean of Science, Prof Andrew Wee, at the Faculty Awards Ceremony on 18th November 2010. We extend our heartiest congratulations to these biodiversity TAs who were recognised for their excellent performance in part-time teaching. They were amongst the twenty-two in the faculty who were similarly recognised for the academic year 2009/2010. 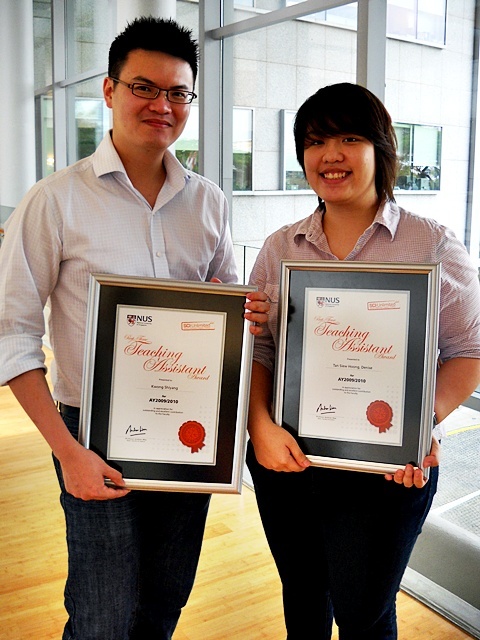 The other biodiversity crew award winners were listed on Raffles Museum News earlier. Thanks to Faculty of Science for the photos by Tan Kai Seng, Leong Siew Loon and James Wee. 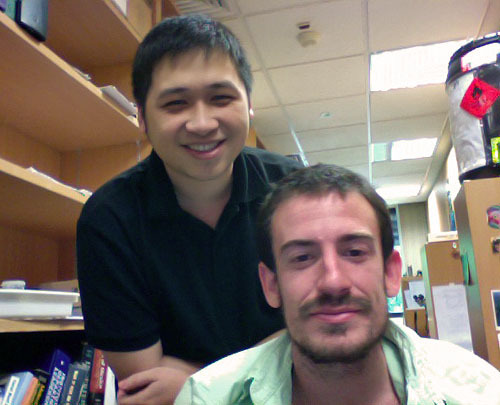 Graduate students Nguyen Thanh Son and Robert Lasley Jr of the Systematics and Ecology Lab have published their first crab papers in the cruel, hard academic world. Son and Rob looking pretty! 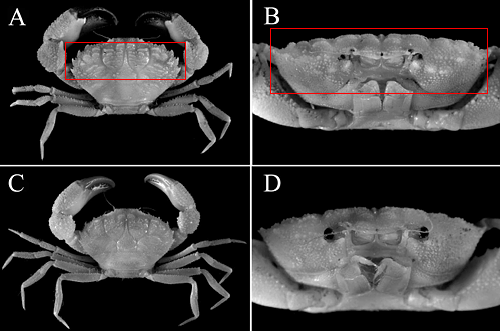 Robert Lasley Jr described two new species of crabs, Guitonia leimomi from Hawaii and G. paulayi from Guam with JC Mendoza and Prof Peter Ng in Zootaxa 2684: 1-13. G. leimomi gets its name from the rows of conjoined granules on the carapace which resembles a pearl necklace (Hawaiian: lei = necklace, momi = pearl). Meanwhile, Nguyen Thanh Son described a new genus of the family Portunidae (Crustacea: Decapoda: Brachyura) and the identity of Portunus (Cycloachelous) yoronensis Sakai, 1974 with Prof Peter Ng in Zootaxa 2677: 38-48. Unique to portunids, adult males of this species have unique deep depressions in the sterno-abdominal cavity to accommodate the male reproductive parts. 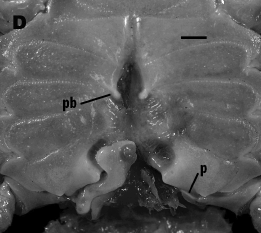 In this paper, Nguyen & Ng synonymise Portunus yoronensis to Cavoportunus dubius. Thanks to Roger @ The Pimm Group, posts on The Biodiversity Crew are included in the Alltop biodiversity topic feed. Alltop is an aggregator that collects “the headlines of the latest stories from the best sites and blogs that cover a topic” so readers keeping up to date with biodiversity news will be reading news out of Singapore too. Thanks to Ria Tan, WildSingapore for the alert last week!